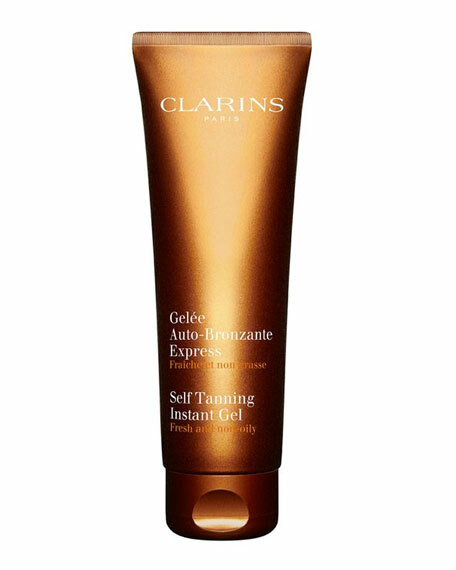 Clarins' award-winning, sunless bronzer creates a golden, even, beach-chic tan. Non-oily, lightweight translucent gel melts easily into skin. Dries quickly, so there's little wait time before dressing. Soothing plant extracts soften skin as color develops. Apply occasionally for the subtle look of sun, or frequently for a deep down tan. 1. 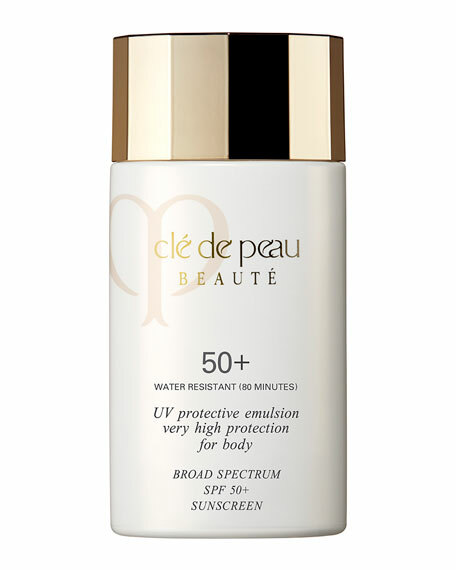 For the most radiant results, exfoliate face and body skin the night before. 2. 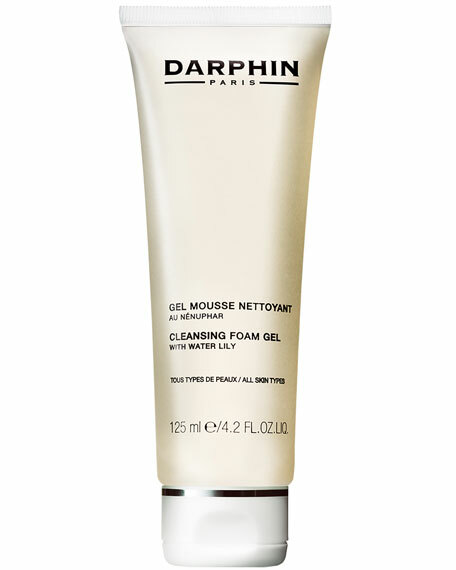 With quick light sweeping motions, apply a small amount of the gel to body and face, avoiding eyebrows and hairline. 3. Gently wipe elbows, knees and heels with a tissue, as these areas can turn darker. 4. Wash hands and nails thoroughly after application. 5. Wait a few minutes before dressing. For in-store inquiries, use sku #249455.